Every Christmas I buy a new ornament to add to our collection. OK. I usually buy a lot more than that, but this one in particular has a purpose other than just being pretty. The “official” ornament’s intention must have some sort of significance to an event that happened during the year. For instance, when we took a trip to Seattle I bought this ferry. Last year we got a little obsessed with eating oysters, and the year before that we started using kettlebells at our gym and Etsy had just the thing to commemorate all of those single-arm swings and TGUs. 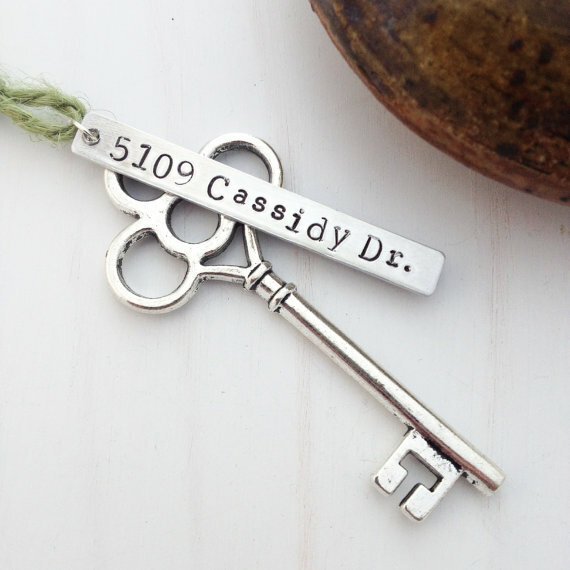 This year we bought a house, but instead of buying an ornament with a house on it — boring — I found a very elegant skeleton key that you could have personalized with your home address. Spoiler alert: this picture is not of my address. If you happened to have purchased your first home as well then I’d definitely suggest hanging one of these on your tree. PS: The oyster ornament can be purchased here and the kettlebells are available here. This entry was posted in Ornaments and tagged home owner, house, kettlebells, key, official ornament, oysters, skeleton key. 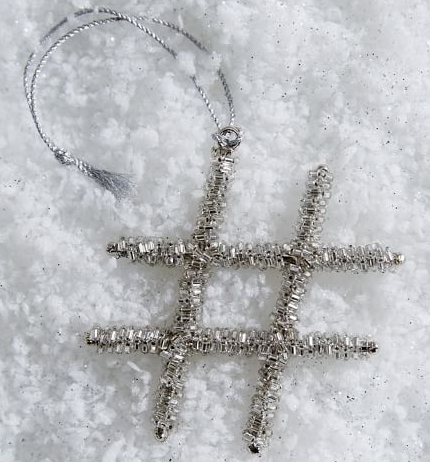 As someone who has been a Twitter user since 2007 and an occasional facilitator for professional development offerings surrounding creating your own social media PLN (personal learning network) — I absolutely love this hashtag ornament! Also, I’m one of those jerks who texts things like “Running so late! Sorry! #badhairday. Obviously I need this. #musthave — See. I can’t help myself. I’m sure if I had any crafting talent at all I could make it, but I don’t so thanks West Elm. Let the Christmas obsession begin! 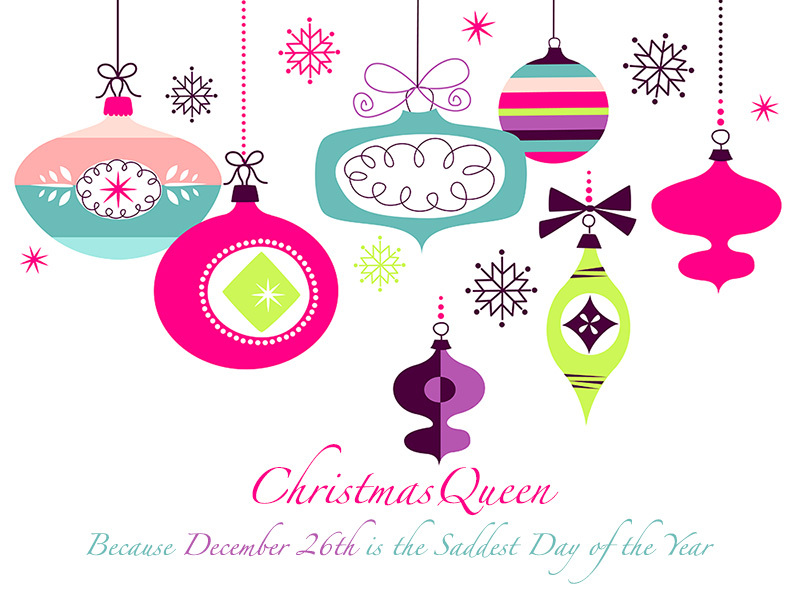 This entry was posted in Ornaments and tagged hashtag, silly, silver, social media, sparkly, tech, tree, twitter.